Edison, New Jersey, is just a short drive from the Newark International Airport as well as the Port of New York. It is an ideal spot for warehouses of all kinds. Often, warehouses offer more than just storage but include other services as well. The Port Newark – Elizabeth Marine Terminal is under the authority of the Port Authority of New York and New Jersey and is the busiest port on the East Coast. There are two charges for storage. Initial storage fees are charged when a shipment first arrives at the warehouse. The second charges are ‘recurring’ and is based on the number of units of X you are storing—X being pallets, boxes, or containers. Although these costs can vary from warehouse to warehouse, checking them often makes sense, especially if the charges rise without you being informed. However, heed the warning, that for quality warehouse and distribution services you might pay a bit more. Handling charges vary by shipment. They are calculated based on type of storage (pallet, container, etc. ), weight, size, stackability, type of storage (bulk or rack storage), and the number of times your shipment needs to be handled. Comparing this cost before you are charged is almost impossible. These are the costs associated with handling the bill of lading, phone calls, emails, faxes, scans, and general shuffling of paper. Be on the lookout for transaction fees as they can quickly add up to become an expensive item associated with your shipment’s warehousing and distribution. These are charged for things such as labeling, unexpected services, and inventory cycle counts. Beware of these charges as this item is often discretionary. They should only be paid if agreed to in advance. Make no mistake, and do not assume that if the contract says so, that’s the way it is. Before you sign a contract, have your commercial business attorney look the contract over and guide your negotiations. 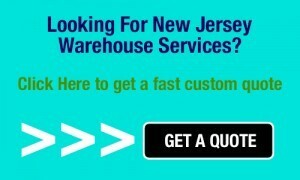 What if you have a shipment that comes in through Newark but is scheduled to leave from Philadelphia tomorrow? If you’re using a warehouse like Quality Warehouse, there is the opportunity to save money and make your shipment on time. Cross docking is the practice of unloading and loading freight without incurring high if any storage fees for warehousing. When businesses succeed, one common factor for their success is customer service. Excellent customer service is one of the most important qualifications for your vendor of warehousing and distribution services. If customer service ever slips, how your vendor handles the issue should determine if you continue with them or search for a new vendor. 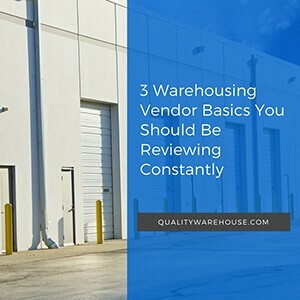 Anyone can make a list, but only a few warehousing and distribution companies can make sure that each part of their list is checked off and rated a 5 out of 5.